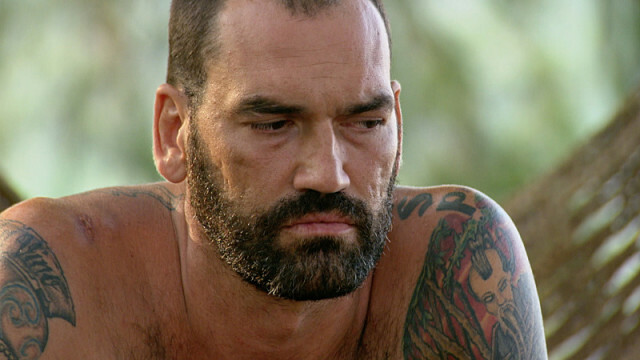 Scot Pollard was an easy-to-hate villain on Survivor. His sabotage, negativity and bullying tactics made him the target of social media hatred. In our one-on-one conversation, Scot opened up about the harsh reaction from viewers, saying his actions didn’t deserve the “over-the-top” hostility he and his family have encountered, including death threats. 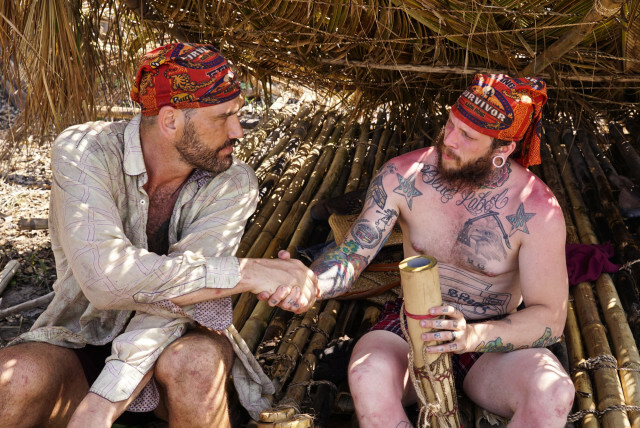 Meanwhile, he weighed in heavily on that intense Tribal Council, where his own ally, Tai, refused to spare him from elimination. 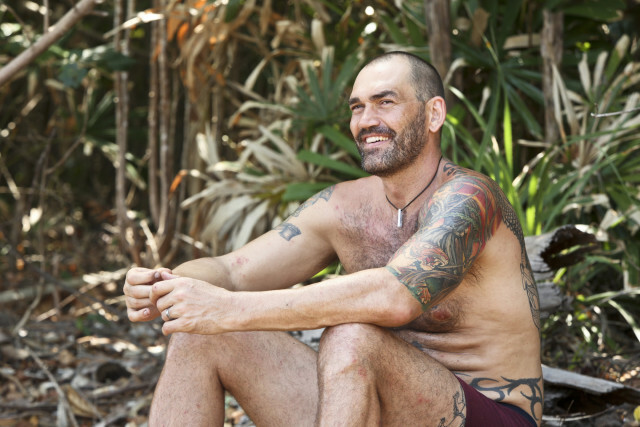 Plus, he revealed what he’s done with Jason’s immunity idol since getting voted out with it in his possession. SheKnows: Did you have any idea the votes were going to fall against you? Scot Pollard: It wasn’t a surprise. I was expecting they were going to go after either Tai or myself. Julia came over and said, “They’re going after Tai.” We knew not to trust everything Julia said because we knew she was a double agent lying to us or being fed misinformation because they were aware of what she was doing. 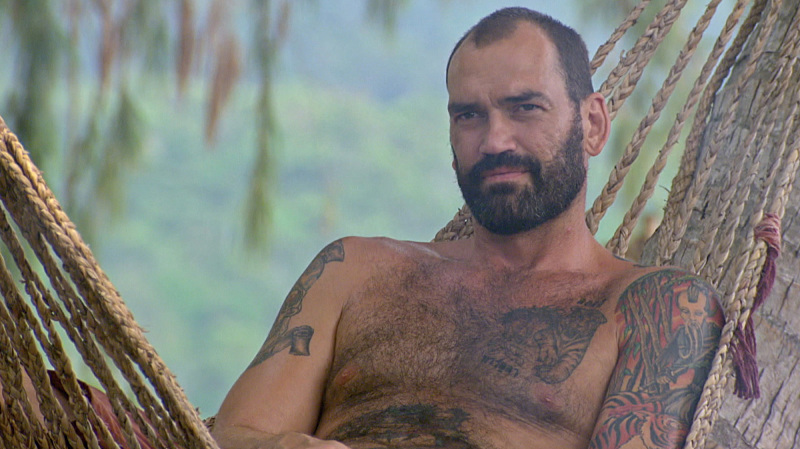 I kind of figured they were going after me because Jason had the immunity necklace, so it was either me or Tai. I had suspected that I was gonna get a couple votes. I just didn’t know I was gonna get all of them. SK: So, it’s obvious you had a pact with Tai to use the super idol had something like this taken place. SP: Oh, yeah. We had a chat about it, and we were basically going to try and re-rack what we did the week before, make a lot of noise and scare them into voting off another girl. We thought it was gonna work. It probably would’ve worked had Tai not voted for me. We keep all our idols, a girl is gone and we have the numbers. It would’ve, could’ve been good for all three of us, and Julia, but Tai decided what was best for him. SK: Watching you sit there staring at Tai, pleading with your eyes for his half of the super idol seemed like minutes. What was going through your mind right at that moment? SP: A lot of things, but it all revolved around, “Man, the only reason you still have an idol is because of me. We made a promise, I played things straight, I never lied to you and you’re backstabbing me. Why? Really?” He shook his head no, and there’s no reason to argue it. I’m not gonna sit here and embarrass myself by begging you. I already know what the answer is. It’s not gonna change. I just decided to get up and get my torch snuffed out. SK: After watching the episode, what’s your take on Tai today? SP: I really like Tai. We’ve met up a couple times post-show. We’ve had dinner together. I’ve met his boyfriend. He’s a great guy. My critique of it is strategic. When I got blindsided, after I recovered the next day, I was sitting there thinking: What did he gain strategically by getting rid of me? I couldn’t think of anything. I was hoping to watch the episode and see where he goes, “This is best for my game. I’m gonna get Scot out of the way.” I didn’t see that. 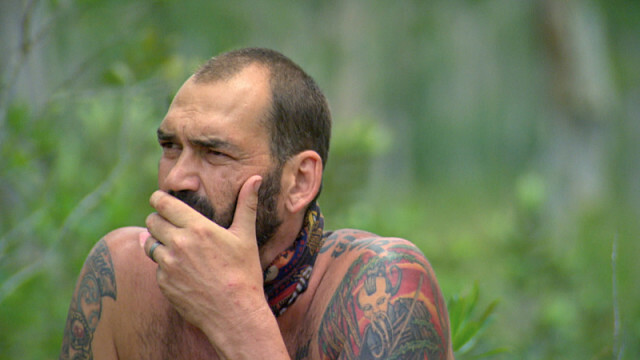 What I saw was Aubry short-term brainwashing him into an emotional decision that helped her and her group. If it was anybody else, I would’ve felt the same way. I don’t want to come across as bitter. He got me. I’m out. I would’ve liked to see a good, strategic reason why it was good to vote me out. I just didn’t see it. Maybe I’m blind. 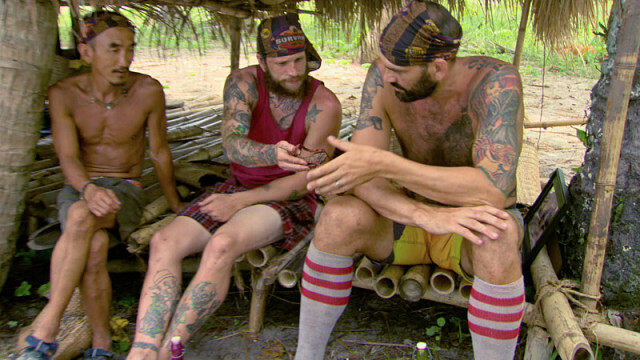 SK: Tai had expressed at one point that he felt you and Jason didn’t take his suggestions for the alliance seriously. Did you actually value Tai’s input, or was he just the third wheel you needed to keep around for numbers before cutting him loose? SP: Not at all. Him and I had a talk, and it was one of many, where I made sure Tai was OK. I would flat out ask him, “Hey man, do you feel like you’re getting a voice? I know we talk fast. I know we talk loud. We’re getting a lot of attention, but I don’t want you to feel left out.” We lost Cydney [in the alliance], potentially because of the same thing; her perception of her feeling like she didn’t have a voice. I don’t necessarily agree with that because I felt like we always included everybody. I know I did. I tried to talk to everybody to make sure they felt like they were in control, because I didn’t think I had a chance of winning the game unless somebody dragged me to the finals. I didn’t ever want them to think I was dominating a conversation, especially given my stature and my volume. I had a lot of talks with Tai, and I felt very comfortable that he was comfortable in getting his voice out. I didn’t shut down Aubry that quickly. That was the strategic thing we kind of came to although the edit made it look like an abrupt decision. That’s the way it looked, but it was something that came about after discussion. 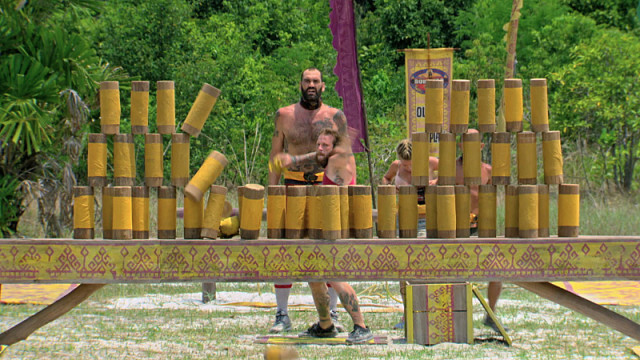 Cydney was the obvious choice, and we wanted to throw them off and go after Aubry. We kept saying Cydney, but we knew it was gonna be Aubry that we were going after. 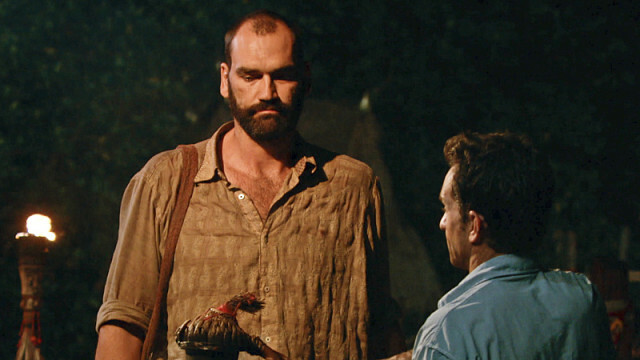 SK: You ended up leaving the game with the hidden idol that Jason had given you. Where is that idol today? SP: Post-game, Jason and I have seen each other several times. It’s in Jason’s hands. SK: So you didn’t keep it around as a haunting souvenir? SP: No. I wouldn’t want that memory [laughs]. It’s his. SK: Social media has been very vocal about their displeasure with you and Jason. Many have labeled you as bullies. Do you think the harsh reaction you’re both getting from fans is deserved and fair? SP: Uh, no. I’ve gotten death threats. My wife has been harassed. People have said bad things about my kids. People have said horrible things about my unborn child to my wife and me in the name of stopping bullying. So, it’s ironic and sad that people don’t get how ironic they’re being by being so horrible toward somebody they view as a bully. I didn’t intentionally, or unintentionally, attempt to harm, emotionally or physically. There was no malice or planning to make somebody feel horrible about themselves. To me, that’s what bullying is. That’s a big word. It’s not a term to be thrown around lightly. Unfortunately, the term gets thrown around lightly as a reaction. It’s a bad word to me just like racist or bigotry. Those are bad words, and to throw a term like that around so lightly, without really looking into it, and saying, “Did Scot maliciously try to make someone feel bad about themselves or hurt them physically?” No. It’s not bullying. It’s a game show. I got to the final eight, so I don’t have any regrets about how I played the game. I got betrayed by everyone I tried to be in an alliance with. I still made it to the final eight, so I did something right. Being portrayed as a villain is part of being a character on the show. Some people get characterized a certain way, and it’s a little easier to make the tattooed guys into the villains than it is to say put Julia and Michele in the role of villains [laughs]. SP: Everyone has emotion. Everyone has reaction. Everyone has good days and bad days. It’s all caught on film. The argument could be made that anybody on the cast could be made into any role. Don’t ya think? SK: A lot of time has passed since this season was actually filmed in Cambodia. Did you ever anticipate this is how you would be portrayed? SP: Not to the harsh level that people have perceived it to be. I don’t think CBS has done me wrong, but I think the perception, the reaction, has been a little bit over the top. Again, bully is a big word, and I don’t think what Jason and I did qualifies as bullying. No one was really hurt. No one was really intimidated. It’s a game show. Everybody signed up to be there. We treated everybody like adults. Were we cutthroat about certain things? Absolutely. That’s what competitive people do. They get cutthroat. The game is about lying and backstabbing and screwing people over. I don’t know where people all of a sudden try to make it seem like I should be chivalrous with somebody because of their gender, orientation or race. It’s a cutthroat game, and I treated everybody the same. Isn’t that what we’re going for? SK: Are you and Jason now bonded for life based on the similarly nasty response you’ve had from viewers? SP: Whether anyone on the cast admits it or not, we are all bonded for life. 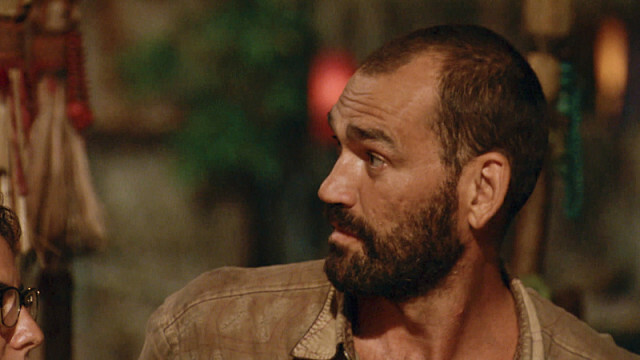 We are all part of a crazy, mixed-up Survivor family. 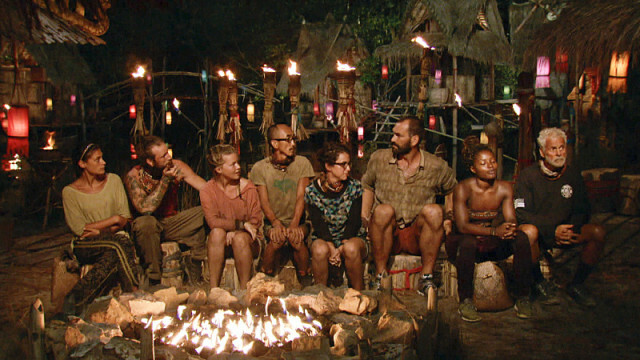 We may not all like each other, we may not all want to keep in contact with each other, but we are all bonded now in this Survivor family. There’s not many of us if you look at it; there’s about 400-something of us ever. That’s a unique family to be a part of. So, yes, Jason and I are bonded for life simply because of that fact, but also because we have so many things in common. We’re both married with kids that we would die for. That sets us apart from the rest of the cast based on that right there. SK: What has your family’s reaction been, seeing some of the brutal comments being dished in your direction? SP: My kids understand it’s a TV show and I’m a character. I’ve been in movies where I’ve killed people, and they know I didn’t actually kill people [laughs]. To them, it’s just another thing Dad is on TV for. He played as a basketball player. That was real. The other stuff they see on TV, movies or social media, that’s entertainment. And that’s different. 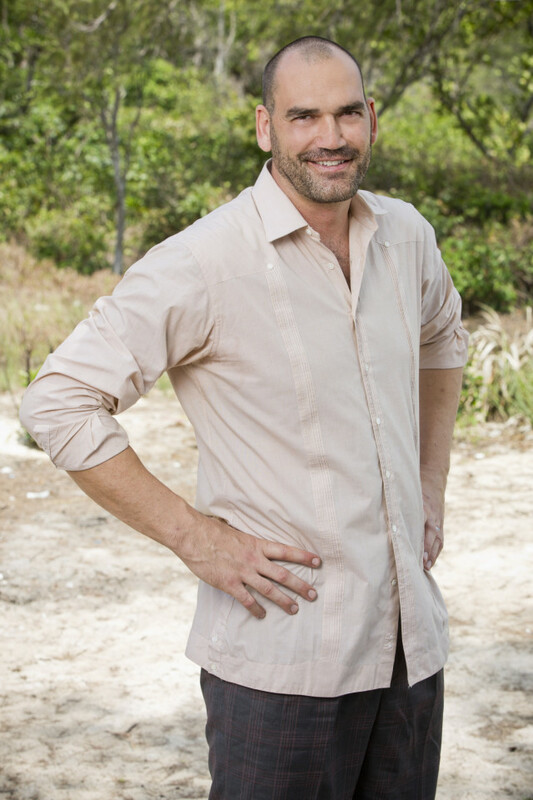 SK: How does a guy like you going from being in the NBA to landing in Cambodia competing on Survivor? SP: It’s a long story. I was approached in 2010. I was in L.A. for a different project. I said no. My personal life wasn’t in the right situation that I could’ve been away for seven weeks. It would’ve been bad. I said no, and I immediately regretted it. Little did I know that there were still people [in casting] talking about me behind my back in a good way. I was contacted again. I sent in my application. I said yes before I even knew what I was talking about and saying yes to. December of 2014 was when this came back together. I went to casting, got picked and it’s been a great ride. It’s a life-changing event. We’re having a baby because I was gone for seven weeks. My wife and I hesitated on the decision, whether we were gonna do it or not, but the separation of being on Survivor is why we have a little Survivor baby that’s due any day now. SP: Thank you very much. SK: With all that being said, coupled with the tough social media reaction, would you ever play again? SP: Absolutely. I would be the first athlete ever invited back, so I’m not holding my breath. But if they asked me to do it again, I would absolutely do it again. Do any of Scot’s comments surprise you? Do you think his portrayal was unfair or do you still believe he’s a bully? What’s your reaction to reading about people sending him death threats? 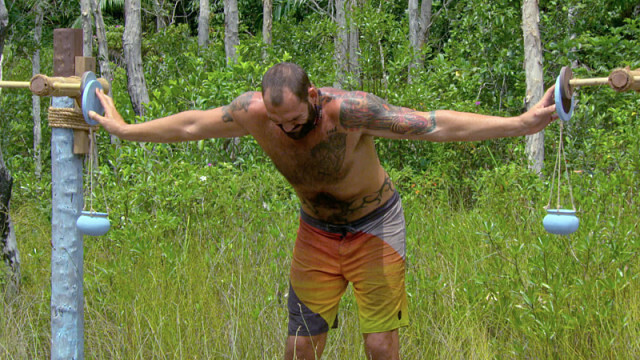 Would you ever want to watch Scot compete again? Join the conversation and leave a comment now!